The numbers are somewhat misleading in the ACC this season. Things sound pretty good when considering Clemson is a national title contender, the league has had a record 10 football teams make an appearance in the Top 25 and 12 of its 14 teams could be bowl eligible. But step back and take a more in-depth look at the Atlantic Coast Conference and outside of the Tigers, who are in line to be in the College Football Playoff for the fourth year in a row, it’s been somewhat of a disappointing football season. Many of the league’s other usually strong teams have struggled. Three of the teams that were ranked — Florida State, Duke and Virginia — held a spot in the Top 25 for just one week, and two that spent the first half of the season in the poll — Miami and Virginia Tech — now get no votes. Louisville and North Carolina are not bowl eligible this year. Two other traditionally rich ACC football programs are in danger of having a pair of the nation’s longest bowl streaks come to an end. 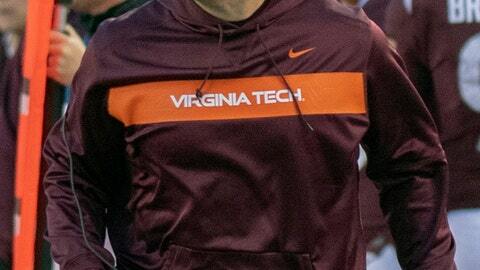 The Hokies, once ranked as high as No. 12, have some major work to do to extend their bowl streak to 26 years. If Virginia Tech (4-6, 3-4) can upset favored Virginia (7-4, 4-3) on Friday, the Hokies will then play Marshall on Dec. 1 seeking a sixth victory. If Virginia wins, the Marshall game won’t be necessary. The Hokies have not been able to reload as they have in the past. They lost three defensive starters to graduation after last season and had three more defensive starters leave early for the NFL. During the offseason, coach Justin Fuente dismissed two more starters — Adonis Alexander and Mook Reynolds — from the team, and Trevon Hill was dismissed early in the season, leaving them exceedingly young. Florida State is also looking to pull off an upset to extend its impressive bowl streak. The Seminoles (5-6) have struggled under first-year coach Willie Taggart and need to beat No. 13 Florida (8-3) on Saturday for their season to end with a bowl game for the 37th year in a row. That streak would rate as the longest in NCAA history, but the NCAA vacated the Seminoles’ 2006 Emerald Bowl victory over UCLA because of an academic issue that led to more than 30 players being suspended for the Music City Bowl against Kentucky the following season. But the Seminoles still count the game and want the streak to continue. Wake Forest is another underdog looking to become bowl eligible. The Demon Deacons (5-6, 2-5) need a road-win at favored Duke (7-4, 3-4) on Saturday for their sixth win of the year. At the top, Clemson has remained unblemished. The Tigers did have a challenge to their perch when they played at Boston College on Nov. 10, but they knocked BC quarterback Anthony Brown out of the game and won 27-7. The second-ranked Tigers have maintained a spot in the top four all season, but even that could come back to haunt the ACC. Clemson will take on No. 24 Pittsburgh for the ACC title on Dec. 1 in Charlotte, North Carolina. If the Panthers can derail the Tigers’ title hopes, the league could lose its spot in the Orange Bowl, which is hosting one of the CFP semifinal games. Because the Orange Bowl is a semifinal host this year, its contractual agreements with the ACC aren’t a factor. So if Pittsburgh beats Clemson, the Tigers would likely still land in a New Year’s Six bowl which might relegate the would-be ACC champion Panthers to the Camping World Bowl in Orlando — where they would face a team from the Big 12. It would be a bizarre ending to season few in the league expected to play out the way it has.